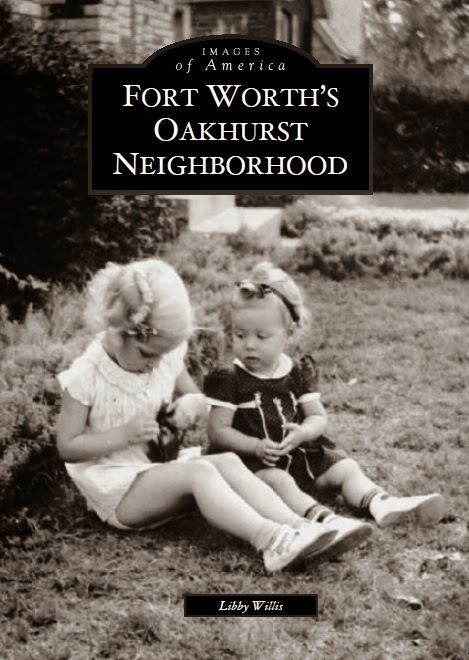 Oakhurst Neighborhood Association, Fort Worth, Texas: Join Us for an Oakhurst Book Signing! Join Us for an Oakhurst Book Signing! On Wednesday, April 16, come out and celebrate the release of Images of America: Fort Worth's Oakhurst Neighborhood, authored by our very own neighbor Libby Willis! Libby will be on hand to sign copies of the book, which offers a glimpse into life in Oakhurst over the decades. This is especially timely as we celebrate the 90th anniversary of our beloved little neighborhood this month!